Rich was added to the Community Development team in January of 2014 and brings many years of experience to the position from his work in both the municipal setting and the private sector of development. Rich has a strong background in planning, zoning and community development having served as a Planner, Zoning Administrator and Community Development Director for various municipalities. He has also held the positions of Land Entitlement Manager, Land Acquisition Manager and Vice President of Community Development for home building companies in the Chicagoland area. Rich has successfully secured community development grants and has worked collaboratively with municipal and development groups on subdivision code revisions, land use plan updates, TIF district planning, corridor plans, zoning code text amendments and traditional neighborhood design communities. He has served as a staff liaison to economic development groups, airport commissions, plan commissions, zoning board of appeals and countywide planning forums. Rich holds a Bachelor of Science Degree from Central Michigan University and is a member of the American Planning Association. Rich looks forward to working with local business leaders and property owners, the Plan Commission, the Montgomery Economic Development Corporation and the Village Board as together they strategically plan, develop and grow the Village of Montgomery. Jerad Chipman began his career with the Village in 2008 as a Planner for the Community Development Department. In 2013, he was promoted to Senior Planner. Jerad was an integral member of the grant writing team that netted $100,000 for a new Village Comprehensive Plan and has been heavily involved in the entire process of creating the new Plan. He serves as the lead staff person in working with the Plan Commission and guiding new projects through the process of initial meetings, plan submittals, Plan Commission reviews and ultimately presentation to the Board of Trustees. Jerad has also been instrumental in additional long range planning activities, including the 2009 Transportation Oriented Development Plan and Park and Ride Study (TOD Plan) and the Western Development Subarea Plan. He is currently assisting in the formation of a new Tax Increment Financing District along the Orchard Road Corridor. 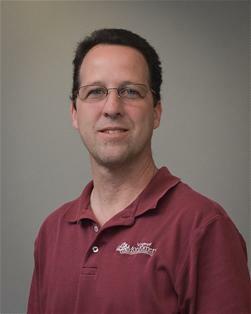 He earned a Bachelor of Science in Community and Regional Planning from Iowa State University. 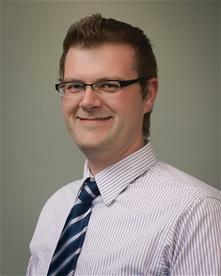 Jerad has also earned his certification as a member of the American Institute of Certified Planners (AICP). Mike Klupar was promoted to Building Inspection Supervisor in 2013 and currently supervises the Village's building and code enforcement divisions. He has been a Village employee since September 2004, serving in the past as building inspector and building inspector/code enforcement officer. Mike has been involved in the construction industry for over 25 years, and brings widespread knowledge of many different aspects of construction. In May of 2018 Mike was promoted to Chief Building Official. In Montgomery, Mike has been involved with many major commercial projects from the ground up, including Menards, JCPenney, Walmart and currently Sam's Club as well as working with several resident developers. Mike is a certified building inspector through the International Code Council, a universally recognized standard-setting organization. He holds over 40 training certificates in a variety of fields such as ADA compliance, fire safety, energy conservation, electrical code updates, plan review and code enforcement. Mike is a member of the Suburban Building Officials Conference and the Illinois Association of Code Enforcement. He has an associate degree in criminal justice from the College of DuPage. 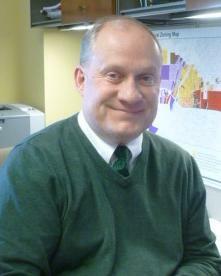 Matt Fitzpatrick has been employed with the Village of Montgomery since January 2013. He started out his career here as a Certified HVAC Maintenance Technician in the Public Works Department maintaining all of the Village facilities. In October 2014, he transferred to the Community Development team as the Code Enforcement Officer. In May of 2018 Matt was promoted to Certified Building Inspector in addition to holding his certification in Code Enforcement. 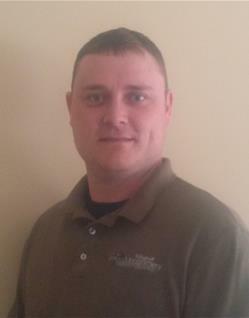 Matt has nearly 10 years in the construction industry and his knowledge and skills are a great asset for the CD team. He is a member of the Illinois Association of Code Enforcement, the Kane County Hoarding Task Force and Suburban Building Officials. Chris Wagner began her career with the Village in May 2013 in the Finance Department as a Water Billing Clerk. In August 2017, she started her current position, as the Administrative Assistant to the Community Development Department. Chris provides superior customer service and support to our citizens processing the residential and commercial building permit applications and inspection results as well as assisting with zoning and code enforcement concerns. Included among her many responsibilities are communicating and maintaining the paperwork for yearly contractor licenses, oversize/overweight vehicle permits, RPZ reports, monthly and yearly building reports, foreclosures and elevator inspections. Additionally, she serves as the Plan Commission meetings on the first Thursday of the month and prepares the meeting minutes. Chris coordinates the Village of Montgomery’s Senior programs and luncheons, the annual Easter Egg Event and Festival of Trees, and assists with the annual Montgomery Fest in August. She also holds a Bachelor’s degree in Biology from Aurora University.